Folkloric groups do Christmas their way. 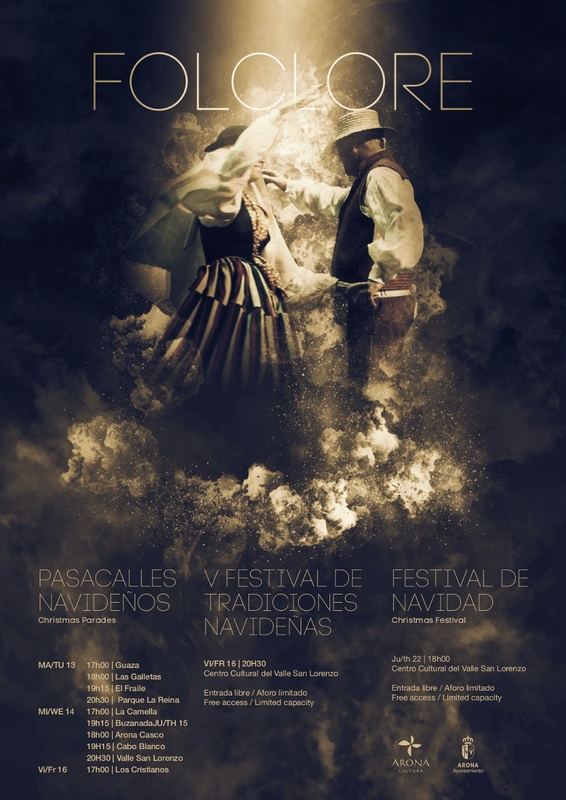 The Munincipal School of Folklore in Arona are joining forces with Punta Rasca, I´Gara, Verodal, Herederos de Chasna y Parranda del Ron Folklore groups to put on a special Christmas Festival in the Valle San Lorenzo Cultural Centre. The festival is free and starts at 6pm on Thursday 22nd December.